This side of the twenties is scary and stressful. It is time when all the sins that you have done on the vibrant side of the twenties - read eating unhealthy, being careless about everything you love like your hair, skin and health - should be washed away. I have finally started taking care of my health - and that doesn't mean only running - and have started eating food that is homemade, away from unhealthy jazz, and rich in nutrients. I eat very simple diets nowadays. My cheat days are also about some inherently healthy and rich food. It is important to understand that things we call fattening have nutrients which are also important. Of course, I won'r recommend a butter rich diet everyday, but you should consume butter every once in a while. 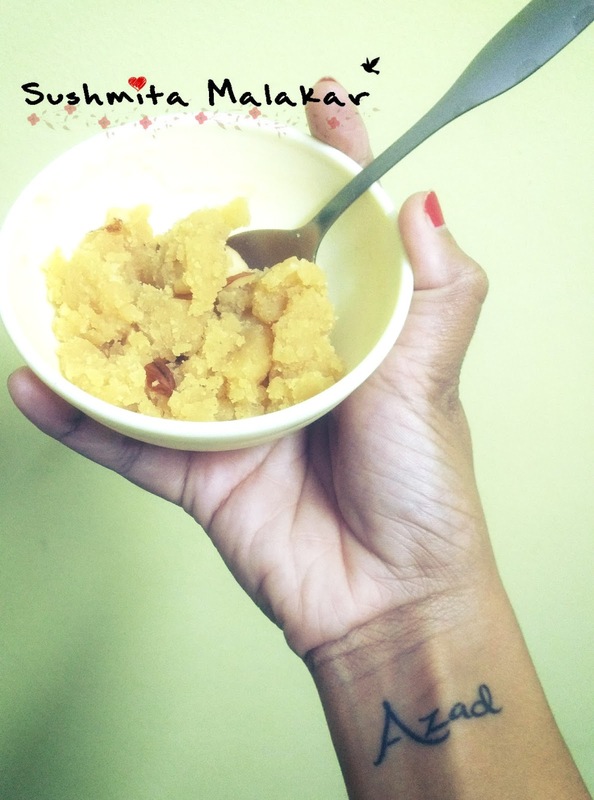 The recipe I am going to share today is Moong Dal Halwa. This recipe uses moong dal (split green gram/yellow lentils) and milk any dry fruits in abundance. It is rich in Iron, Calcium and Vitamin B-6. And it serves as a great dessert in winters! As mentioned by one of my readers, this recipe is rich in magnesium which helps in many bodily functions and in relieving stress. Now that is one great reason to try it! 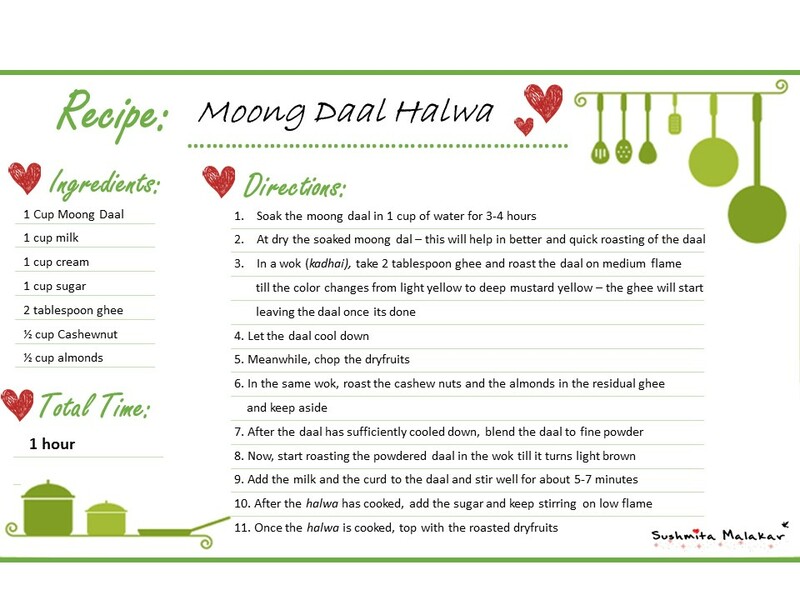 Here are the nutrient chart for few of the ingredients of this quick moong daal halwa. My reason for sharing this recipe rich in lentils and dry fruits is because it is high in iron. Iron is an important component of hemoglobin, which is the oxygen career in our blood. You need to have iron intact in your body, isn't it. Talking of that, Livogen helps you fight the iron deficiency in a healthy manner. I will quickly share the recipe and then I will be sharing the picture or each step. The Indian weddings are the only reason why I made this halwa at home. And please try this recipe and let me know if this can help anyone become a Kushal nari. This recipe is also rich in magnesium, which is an important mineral for stress relief, regulation of many body processes including blood pressure and blood sugar control, and proper functioning of our muscles. Thank you for sharing! Oh yes, it is! I have updated the post with this information.